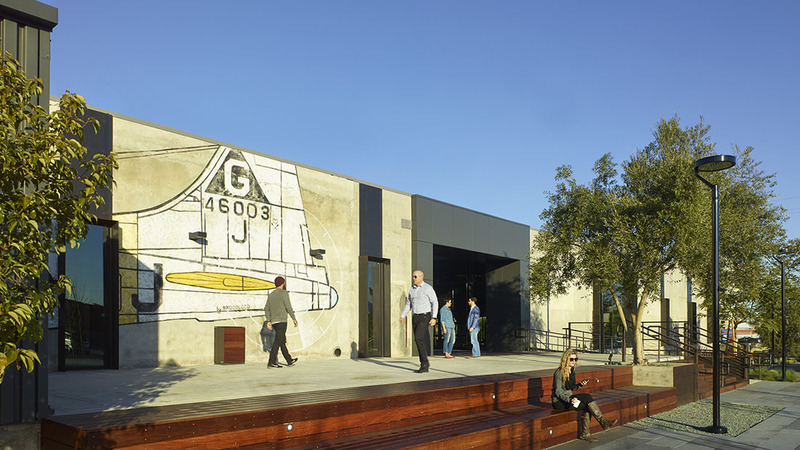 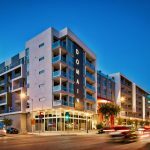 INSITE was a vacant adaptive re-use opportunity in a strong submarket with a very high demand for creative space. 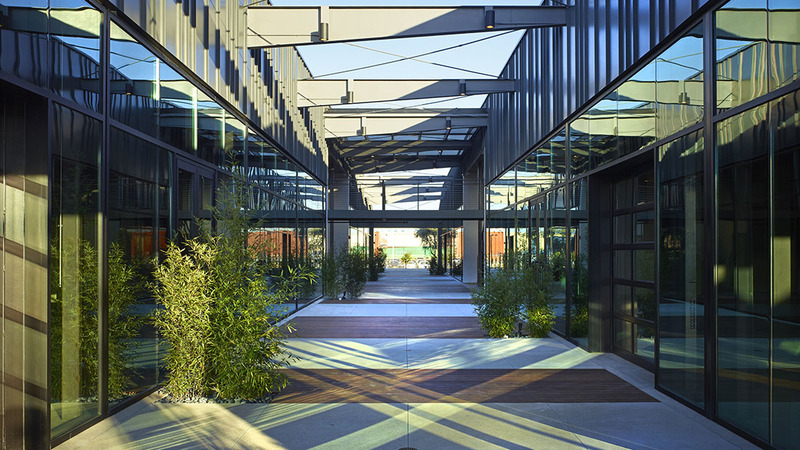 It is a single-story facility on a 4.8 acre site offering a prime “horizontal campus” with abundant parking. 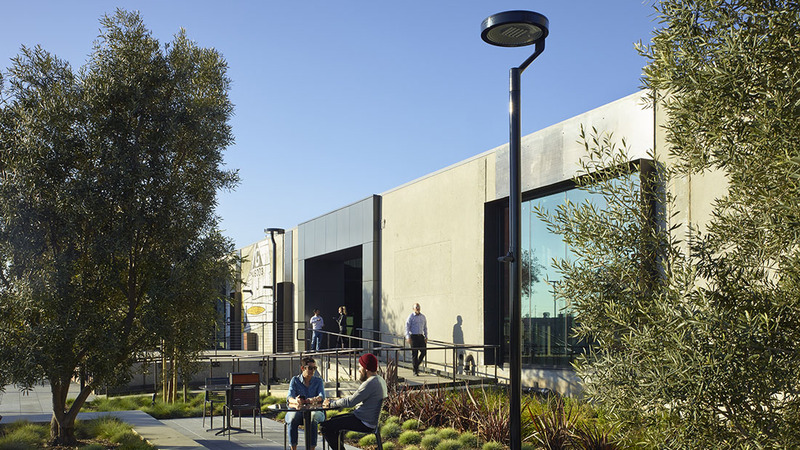 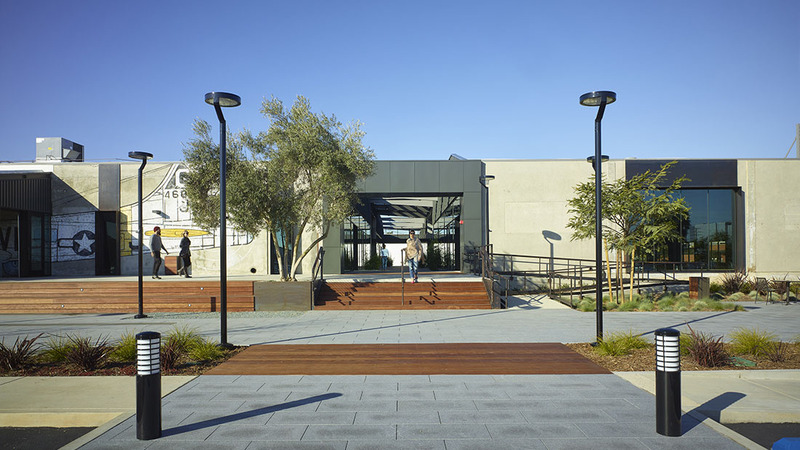 SteelWave, in a joint venture with Goldman Sachs, acquired the site in April 2015 and have now finished the extensive improvements that maintain an “industrial feel”: new facade, roof, central plant, added mezzanine space, new landscape and hardspace, creative interior buildout and indoor/outdoor collaborative areas. 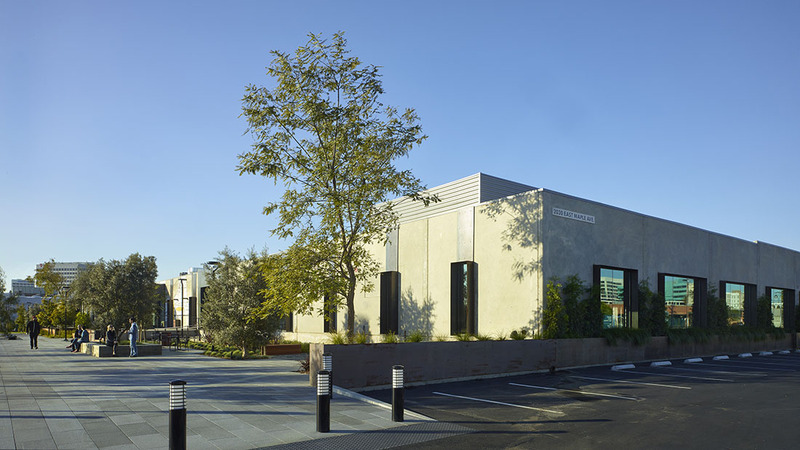 Rossmoyne, Inc. was a prime subcontractor for the interior/exterior cladding and amenities on the restoration of INSITE.